I've started development on the next major revolution of My Podcast Reviews (the leading service to see and share all your global podcast reviews), and in the process of collecting data, I've noticed some interesting correlations between the seriousness of podcasts and the hosting companies they are on. Here's that data. All of the following data is from Apple Podcasts and is updated as of December 1, 2018. I estimate only a 1% or smaller margin of error. First, how many podcasts are in Apple Podcasts (AP)? For data on podcast-hosting companies, I looked at only the podcasts' RSS feed URLs. This is not 100% reliable and will, for most podcast-hosting companies, result in under-estimated numbers. This is because not every podcaster chooses to use the feed-publishing tools offered by their hosting company. For example, while Libsyn offers a powerful suite of offsite podcast publishing tools, many podcasters may use Libsyn only for hosting and stats, but generate their RSS feed elsewhere (such as with PowerPress on WordPress). This also doesn't account for feed-mirroring or feed-enhancement services, such as Podcast Mirror, FeedBurner, Podtrac, and such, because such services sometimes obscure the source feed URL. Thus, Blubrry will be noticeably absent from this list because Blubrry's own domains show up rarely in feed URLs, but usually only in the individual episode enclosures. Each podcaster can customize the number of episodes they keep available in their podcast's RSS feed. Publishing tools have different defaults, usually 10, 50, 100, or 300. Thus, episode counts are not a foolproof way to determine a show's commitment or longevity. But anything under 10 would be notable as it's below the default limit of probably all publishing tools. There are about 4.3 million episodes published in Apple Podcasts. Thus, the average number of episodes per feed is about 7. But again, this is highly affected by self-imposed episode limits in feeds and thus not reflective of the true number of podcast episodes. For example, many highly popular and long-running podcasts like This Week in Tech, TouchArcade, and No Agenda limit their feed to display only the latest 10 episodes (16 currently in No Agenda‘s feed). Now this is where it gets really interesting! 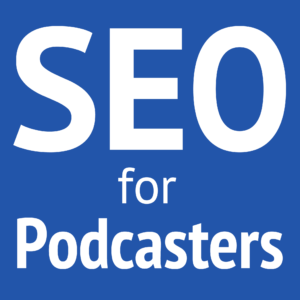 Let's look at the same kinds of numbers as above, but broken down by podcast hosting or publishing tool. Percentages in the following will be of the number of podcasts generated by each host/tool. Data is subject to interpretation, so here's how I interpret this information I've shared. 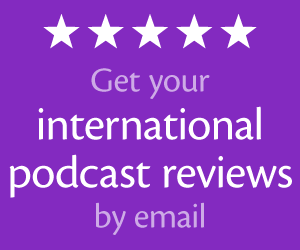 Free podcast-hosting companies may boast high numbers of podcasts, but they usually have very low active podcasts. This is probably because “free” asks for very little strategy or commitment. Premium podcasting tools seem to show more committed, active users. FeedBurner has more inactive users than active, probably because a lot of podcasters who ended their shows have not bothered to migrate to better publishing tools. Anchor and SoundCloud are the most popular media hosts, but they also have the highest percentages of inactive podcasts. And a shockingly high number of Anchor users have 3 or fewer episodes, indicating very new shows or very uncommitted podcasters. A disappointing majority of podcasts on a majority of hosting providers have the feed pointing back to the podcast webpage on the host. This could be laziness on the podcaster's part to not change it to their own domain, it could be ignorance of the ability (and necessity) to change such setting, it could be that the tool doesn't even allow that setting to be changed, or it could be that the podcaster is intentionally using the media host's website as their podcast's primary website. (But you should still get your own domain and update the website URL in your feed!) The most shocking of these is Anchor-hosted shows where all but 3 were pointing at the podcast's page on Anchor. The only 3 that weren't doing so appear to be migrations from other hosting services and are thus still pointing back to those previous services. As could be expected, this data suggests that the kinds of people willing to invest in their podcasting tools are the kinds of people likely to keep the podcast active. 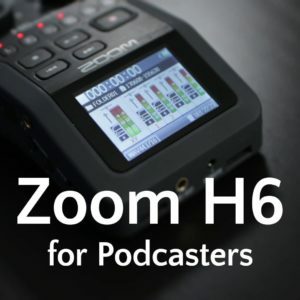 Inversely, it also appears that providers with extremely low-barrier tools and no costs to the podcaster result in a lot of “flash in the pan” podcasts that publish only a couple episodes and then podfade. Anchor's high number in Apple Podcasts is also likely due to their automated submission of their users' podcasts to Apple, but through Anchor's own account (and not the podcasters'). I have no doubt this data will be interpreted in other ways, and some companies might be unhappy with what the data reveals. Great article, Daniel! Many podcasts start, and then podfade a few episodes in. While that may be bad for the reputation of podcasting, it is good to see more people getting their feet wet in this medium. Thanks for doing the research, Daniel. Insightful. Thanks for pulling all these stats together. I’m guessing that many people will be surprised by your findings. I’d love to know the date that each of these hosts started offering podcast hosting. I know that both Soundcloud and Anchor shifted at some point and it would be helpful to know the time frames for these numbers. Budding Podcasters and Podcaster “hopefuls” will find that podcasting is a lot of work (despite the promise of easy podcasting) so they end up quitting! If might be simple to create a few episodes with a free host, but growing an audience and improving the actual substance of the content is easier said than done! With that said, I think that exposing people to podcasting this way is a really good thing for the overall growth the medium because the people that end up podfading also end up with a newfound respect for the what it means to be a podcaster. In the long run these people will become the BEST future podcast listeners ever. And we can all use more loyal podcast listeners. Yes. It’s a tough balance between making the tools and process easier (which I’m a huge fan of), and yet also ensuring we’re not pushing people into something they’re not ready for, yet. I don’t think licenses or certificates should be required, but maybe these super-easy tools could have some kind of “staging” or “playground” mode, allowing someone to essentially practice podcasting, but without worrying about putting it out there and giving up. I have chatted with a lot of podcasters on Anchor and many of them find that it is so easy to start a show, they create 3 or 4 shows and just stick with the one (s) they enjoy the most. When that happens, I think it’s a good thing. Good for them, yes. But do you think it’s good for those abandoned shows to be publicized or left public if the podcaster was only experimenting? I don’t see the harm. It’s not like anyone will be able to find them on Apple Podcasts anyway. There are thousands of abandoned podcasts — even those that people continue to pay hosting fees for. Look at all the other mediums that have abandoned shows, like YouTube for example, I think the bigger problem is the way Apple Podcasts charts are being gamed.